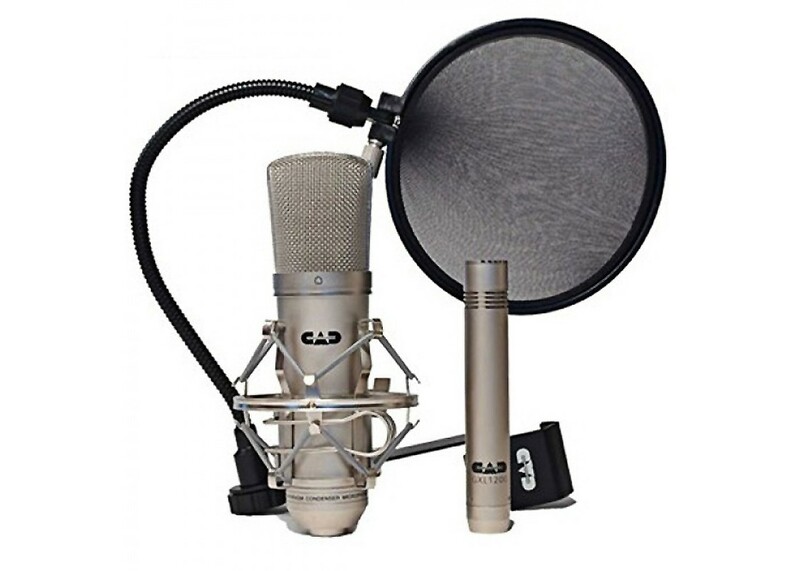 The CAD GXL-2200 Studio Pack is a convenient and complete microphone solution for project studio recording. 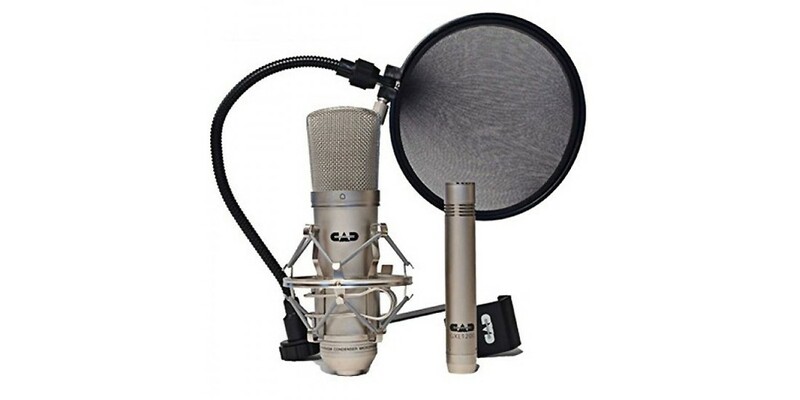 The Studio Pack includes the GXL-2200 large diaphragm cardioid condenser microphone, GXL-1200 small diaphragm cardioid condenser microphone and EPF-15A pop filter. The GXL-2200 features a 1" gold vapor deposited diaphragm and cardioid polar pattern, The cardioid pattern effectively minimizes noise and feedback at the off-axis sections of the capsule. The high sensitivity, linear frequency response and low noise floor make the GXL-2200 a viable candidate for capturing vocals and general instruments in broadcast, recording and sound reinforcement applications. The GXL-1200 is a small diaphragm condenser microphone with a cardioid pattern, also effective in minimizing noise, ambiance and feedback. The high SPL handling enables excessively loud audio signals to be reproduced without noise or distortion. The GLX-1200 is housed in a slim profile, rugged enclosure ideal for spot capturing vocals and instruments such as guitar, strings, wood winds, overheads, cymbals, percussion and more. The cardioid polar pattern is effective in minimizing noise and ambiance at the off-axis sections of the microphone capsule. The high sensitivity, linear frequency response and high SPL handling allows the microphone to be used in any recording or sound reinforcement application. The included pop filter effectively suppresses noise caused by plosives and sibilance.